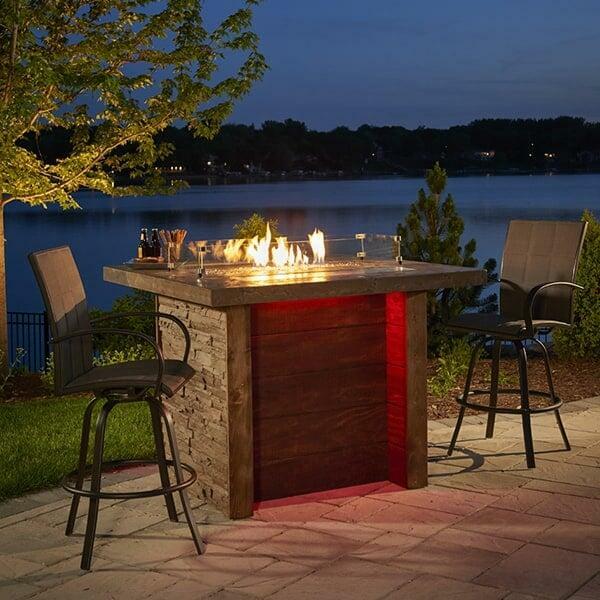 The Marquee Fire Pit Island Table is a pub height table ideal for outdoor entertaining. Fire pit tables by Outdoor GreatRoom remove the fuss from holding a gathering around the bonfire. The fire ignites and turns off easily, and you don’t have to worry about gathering kindling, fanning flames, or shutting down the fire when you’re ready to turn in for the night. The Marquee is a high quality outdoor fire pit. The base is made with real wood planking and faux stacked stone. Because the base features real wood, it requires some upkeep attention now and again. The tabletop is made with a deep, matured marbleized mocha supertop. 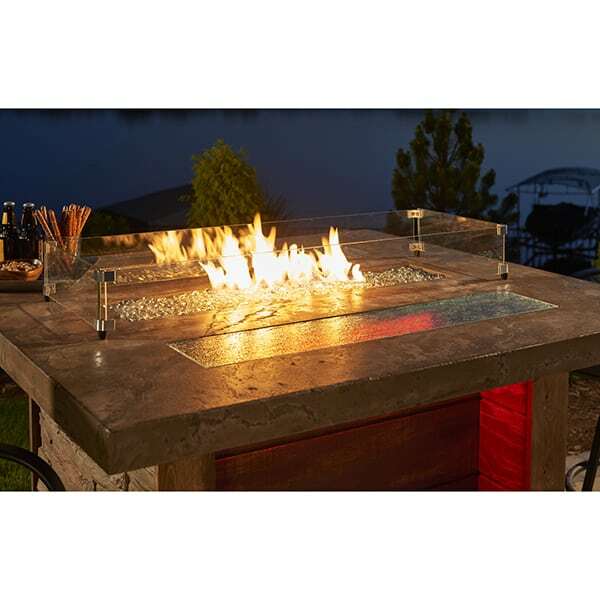 The burner gives of up to 60,000 BTUs of heat to keep guests cozy and comfortable during long nights spent outdoors.